We have a life full of hardships be it work, be it relationships ever came across a girlfriend that is ignoring you or for instance has blocked you on Whatsapp. Yes this is about Whatsapp and having Whatsapp on any number other than your own for any purpose sorry singles if you didn't like my example of girlfriend but for instance we want to trouble our friend or if not for any one else but for us to have our own thing we want privacy and we don't want anyone to call us back when we are unavailable Whatsapp common everyone has there space. For your continuous interest i must tell you we are going to have a foreign number, how cool is that ?. 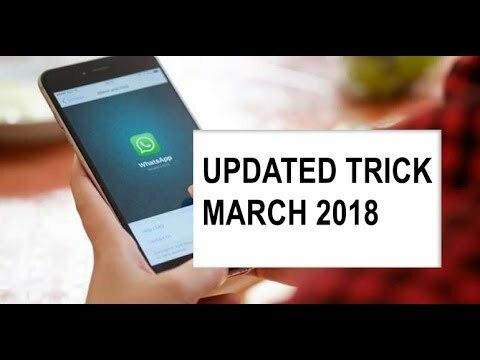 Although many of the tricks got wasted due to strictness of whatsapp but i assure you this will do a lot good here we will create a Business account of whatsapp. Starting with downloading the Groove IP from our very own Play Store followed by downloading the Whatsapp Business app as for our business account from the play store. After we have finished downloading Whatsapp Business we will open the Groove IP app ,here guys we have alternative to apps to groove IP but since groove IP is working well we will move ahead with this now when you open this app you will click on get started then you will require a email to enter in this app for registration purpose, then we will have to give in a password that's for us after which we have to fill in some little details like gender and age group this all is required to do a signup on our Groove-IP app, finally click signup. So here you see guys that we need not put our contact number. After all this it may ask us some area code but as per me i m selecting no preference as any number will work for me. Select any number from the drop drown list for my ease i am selecting the first number and signing in using it. So note down the number from groove IP app and Sign In to the Whatsapp business using this number from Groove IP app. After entering the number we got from grove IP we will proceed further and we will get the O.T.P on our groove IP app, put this O.T.P on your whatsapp account and click on next. You are done. Ya ! you got a whatsapp account with a fake number enjoy till whatsapp don't find out!. We will get lots more trick till then. Its fun doing things that are not ordinary so guys keep tricking enjoy bye bye. WHATS-APP: + 1 ( 4 0 9 ) 9 9 9 - 3 4 7 7 . Call/Text: + 1 ( 4 0 9 ) 9 9 9 - 3 4 7 7 .